Back from SDCCI: Eisners, celebs and more. Just got home a few minutes ago and as I’m waiting for the a/c to cool down my apartment I thought I’d post a quick update. SDCCI 2011 will go down in history, at least for me, as the least enjoyable and most enjoyable time I’ve had at this event since I started making the annual trek down in 2003. It was the least enjoyable because I was (a) sick and (b) as a result in a bitter mood. I found the overwhelming number of people to be really unbearable, especially when trying to get around. Comic-Con is just too big and I’m not sure the walk from end to end is really worth it. This is the first year where my responsibilities at the event were completely for Fan Expo, so it really ended up being a case of touching base with people. So I didn’t have as much running around to do as I did in years past when I was there working for CGC. Unfortunately something happened on Wednesday, perhaps a parasite of some kind or just an illness, but I could not eat and I basically went from Wednesday through to Friday night surviving on Coke Zero and the occasional piece of fruit or handful of chips. By Friday night (the Eisners) things were calming down and I was able to enjoy a nice meal on Saturday evening. I was able to meet briefly with Todd McFarlane to give him his Hall of Fame award. I’ll post a pic when I get it. 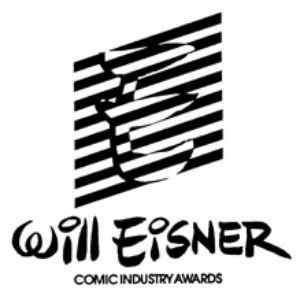 I can’t stress how archaic the Eisners continue to be. This will be the 9th time I’ve attended the ceremony and it’s still the same old plodding formula. Main host introduces segment host introduces presenters, rinse, repeat, rinse, repeat. I twittered that we should do it – I guarantee we would be through those 20 some odd categories in 2 hours instead of 4. This is the second year that Jenn has been up for the Spirit of Retailing Award and the second time we’ve been amazed at how little the organizers feel about the nominees for that award. The nominees are not allowed to enter the main seating area, but are obliged to sit in a first row “pro” section that makes the nominees feel pretty unwelcome. We sat behind the D+Q table and got to look at the backs of Tom Devlin, Peggy Burns and Chester Brown’s heads for three plus hours. And after listening to the same musical cue played over and over again ad nauseum I’m amazed that people are able to endure the full ceremony – I know I couldn’t. Canadian Winners: Karl Kerschl won the online comics award (following the Shuster lead once again. 2009 – Cameron Stewart won the Shuster, 2010 he won an Eisner. In 2010 Kerschl won the Shuster, in 2011 he wins the Eisner. Look out Emily Carroll!). Darwyn Cooke won the writer/artist award for Parker: The Outfit. After we left it seems that the D+Q published Wilson by American cartoonist Dan Clowes won something. 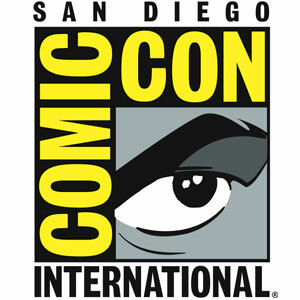 At the show all I hear is about the Eisners are disconnected from Comic-Con, a last vestige the old con’s aristocracy. Many creators don’t go, and don’t want to go. They need to rethink what they are trying to accomplish and make this more enjoyable and back to being a proper community event. I was saddened to learn that Dave Stevens’ mother had passed last month. Her speech last year was quite moving. I hear that D+Q sold out of Hark! A Vagrant’s limited SDCCI run. Congratulations! I did swing by D+Q and picked up the limited edition hardcover of THE DEATH RAY by Dan Clowes. Other books I picked up at Comic-Con: The Art of Joe Kubert by Bill Schelly (Fantagraphics), The League of Extraordinary Gentlemen: 1969 by Alan Moore and Kevin O’Neill (Top Shelf), The Complete Echo HC by Terry Moore, Supergods by Grant Morrison, plus art/sketchbooks from Ryan Ottley, Arthur Adams, Adam Hughes. As for what I brought to get signed: 6 books by Jordi Bernet (Torpedo 1-3, Clara and two art books). One of the books had an inscription written in it by my friend Paul Truster and I suspect the mention of Jeff Singh (a local art collector and another friend) in the note resulted in him doing fantastic sketches in each one. I can still be a fanboy when I want to be. I did end up meeting Chris Evans, star of Captain America, at the Marvel booth. I had some other celebrity sightings, including some of the stars of Lost, including producer JJ Abrams. In the Houston airport on the way home today I stood in the line at the bathroom behind Peter Dinklage, currently starring in HBO’s Game of Thrones. There were other pseudo-celebs prowling about – people you sort of recognize from being in stuff. Canadian news was lacking, but one big announcement is that FIONA STAPLES will be drawing SAGA with writer Brian K. Vaughan. We ran into Fiona on Saturday night and she’s very excited about it, as are we! This entry was posted in General Announcements, Hall of Fame, Happenings by Kevin A. Boyd. Bookmark the permalink.